*Authorized Dealer of Shaw Floors* MODERN INTERIOR DESIGN ACCORDING TO YOUR INDIVIDUAL REQUIREMENTS! Best Carpets and Interiors (BCI) is a New Jersey based interior design company that specializes in delivering high quality commercial and residential interior design solutions. We installs flooring of all types, tiles, carpets, interior accessories, countertops, kitchen cabinets, stylish knobs, handles, vanities, mirrors, bathroom & kitchen renovations as well as modern and/or traditional custom solutions tailored to the needs of our customers. Serving since 1985, our family owned and operated business is driven by our passion to serve our clients with the best products and workmanship available in the market. We have been creating beautiful living spaces for over 30 years. 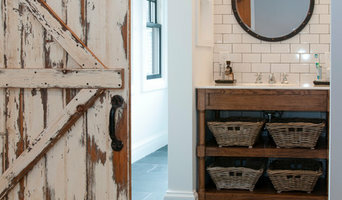 Whether your style is traditional or modern, rustic or luxurious, BCI’s design professionals have the experience to help you choose the products and design that suit your style and budget. As the owner of organization Munawar Ahmad (Mike) says; “The core of my business stands on one basic principle; serve others to the best of your ability”. Best Carpets and Interiors has truly embraced this principle and it has resulted in over 80% repeat business, top rankings in the region and a growing clientele that is built on referrals of existing customers and the plain old word of mouth. Martina Servos has been designing homes for more than 30 years. We are an interior architecture, style & design company that blends sleek European design with the warmth of traditional American decor. Upper Montclair's local Furniture Showroom and Design Center. We specialize in Furniture, Accessories, Lighting, and Signed Memorabilia. With a design philosophy that speaks to international sophistication & a point of view that transcends regional borders, Satomi creates inspirational environments tailored to the client needs. We listen to how you want to live in your space. Our services reflect the lifestyle and need of the client. Mimi Goldberg's design is timeless both as aesthetic and function. Whether you want your home to look like it came out of a magazine or you need a living space that better supports the needs of you or your family, Maggie Bender Interiors is a great place to start. The work of a professional can make all the difference. Whether your home has 10 bedrooms, or your apartment is 800 square feet, it can be tricky to create a cohesive look that is representative of your style. That's where a local Belleville interior designer comes in. A home decorator will help distill your tastes and ideas into a design that suits the needs of your space. Whether you need help creating a functional space plan, rearranging existing pieces, designing the inside of a new home, or simply sourcing amazing furniture and decor, seeking the help of professional interior designers and decorators in Belleville, NJ is a must. A good home design professional will hone your style down to its very essence and be able to choose a functional layout that feels natural to you. Interior design companies can be involved as much or as little as the client desires. Many clients who hire an interior decorator in Belleville, NJ — particularly those who are remodeling — have a good sense of how the room should look and what products they should use. Often clients will insist that interior decorators use the products already present in the house. Other times a designer will need to start from scratch — especially if this is a newly purchased or just-built home. An interior design company will need to figure out exactly what the client needs, which includes organizing rooms, picking flooring and wall colors, and finding furniture to complement it all. 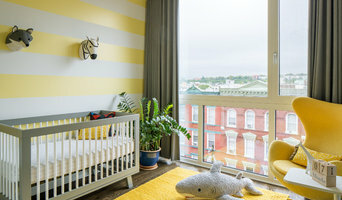 Sometimes that means he or she will have to recruit help from other Belleville, NJ home professionals to help create the perfect look for your renovation. Here are some related professionals and vendors to complement the work of interior decorators: . Do your research before meeting with an interior designer or home decorator in Belleville, NJ. Ask yourself what you want your space to become and what it will be used for. Figure out the extent of what you need help with, what your must-haves are and what your budget is. Interior design services can add up fast, so be up front with a potential design firm or individual from the beginning. Also, pick an interior decorator that fits your style. Browse through the portfolios of different Belleville interior design firms and decide if you would live in those houses. Just because you like something doesn’t mean you could live in it. There's a big difference! Find an interior designer or home decorator in Belleville, NJ on Houzz. 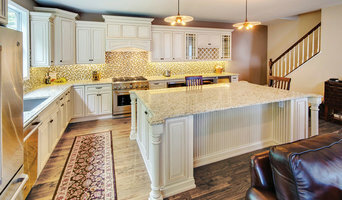 Narrow your search in the Professionals section to find Belleville interior designers near you. You can also look through Belleville, NJ photos to find a room you like, then contact the design firm who designed it.